Retire Successfully website is enormously privileged and proud to announce that it will be featuring a new Retirementor blogger, Dorian Mintzer. 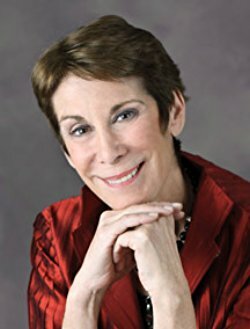 More familiarly known as Dori, she is co-author of the hugely popular book, The Couple’s Retirement Puzzle: Must-Have Conversations for Creating an Amazing New Life Together. This book was recently nominated in the Best Retirement Book category for the 2017 Best Senior Living Awards, and is available in the Chartered Library. Through her book, Dori guides couples in having the courageous conversations that they need to have in anticipation of, or already in, retirement. Questions such as when and where you expect to retire, what ‘retirement’ means to you and how the money will be managed are difficult to discussion but essential to create a successful second half. Dori understands the challenges herself. Married to David, 13 years her senior, she is a writer, coach, lecturer, and founder of two virtual communities (the Boomers and Beyond Special Interest Group and Revolutionize Your Retirement Interview with Experts Series. She is not near retirement! David, a physician, has reduced his working hours to three days a week, and is home more than ever before. How to balance expectations and demands? 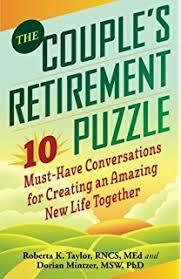 Have the vital retirement puzzle conversations. If you need guidance, keep an eye out for her monthly blogs on Retire Successfully’s website. 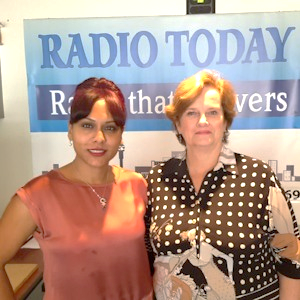 Our Retire Successfully Retirementor, Lynda Smith, founder and CEO of The Refirement Network, was recently interviewed on Radio Today, by show-host, Natashia Bearam. In the interview, Lynda encourages older people who still want to work not to be afraid of technology and to be willing to learn from younger people (even grandchildren!) in order not to feel intimidated by the extent to which technology, especially social media, has changed the workplace. She also poses a range of questions regarding the kind of work you may be considering: for example, are you seeking opportunities in a new industry or do you want to continue in the industry in which you have been working to date? Do you want to be an entrepreneur or a consultant or an employee? Lynda highlights the value of network – more than ever, relationships are a crucial, though intangible, asset in building a career. Finally, she advises that you look at who you are, what you offer and what is the world looking for … and then how you put it all together. Lynda is a coach who can help you answer those questions and guide you in finding your purpose in the new world of work, in your relationships and with yourself. Lynda’s work focuses around helping Baby Boomers plan for their next season of life and identify where they can still add value in business and society. If you enjoyed this post on Lynda you may be interested in some of her personal blogs. Click here to access them. Rearrange the six groups of scrambled letters to form words, then decide where each word fits in the square grid (up or down). One letter has been given to help get you started. 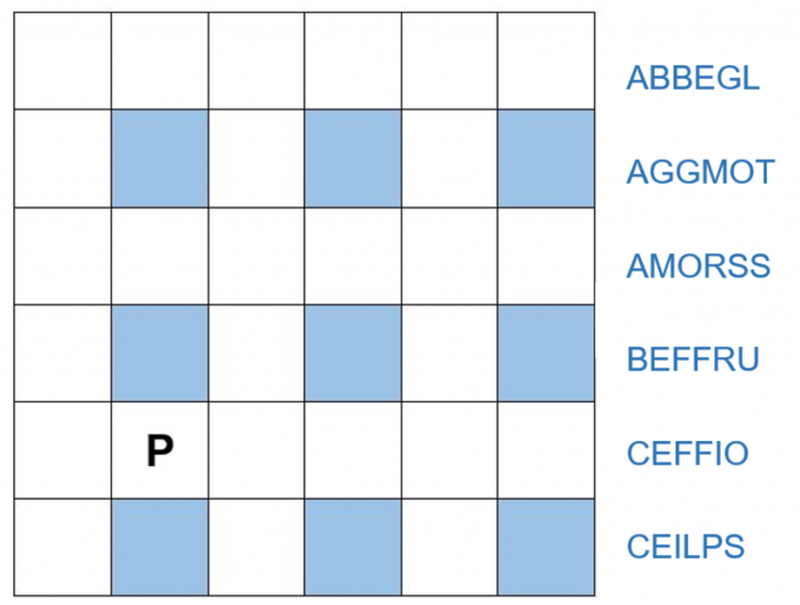 Answers to this Solve-a-Square can be accessed in The Retiremeant Tip sent Friday 28 July. Click here to access the answers. 10 Reasons solo travel is incredible – and why you should do it! Travelstart writer, Rebecca Houston, is sold on solo travel … and gives us so many reasons why! Travelling solo means you can go where the adventure takes you. If you make a new friend you can change your plans as you like without worrying about derailing others’ travel plans. Don’t come back from Rome with the memory of a silly argument over where to eat. Travelling alone gives you the opportunity to really connect with the people and places around you without the safety blanket and insulation of a travel buddy. When you travel with friends and family, budgeting can be a headache. Someone might want to eat out most nights while someone else might want to go the ‘two-minute noodles’, backpackers’ route. When you travel alone you don’t have to worry about pleasing everyone or breaking the bank. Get out of your comfort zone when you travel alone. You’ll need to think on your feet and you’ll have to learn to rely on your own resourcefulness – an invaluable skill that will give you a huge boost of confidence. Solo travel is a break from compromise. When you travel solo you get to make the decisions! It’s a rare opportunity to be a little selfish, in a good way. You call the shots. You don’t have to worry about pleasing everyone or breaking the bank. Take time out from your hectic schedule to reconnect with your inner thoughts. A slower pace of life, with time to take in the sunset, to read, to climb a mountain, to drink a coffee in the sun at a sidewalk cafe- these are the rewards of solo travel. Solo travel gives you time to rejuvenate and have a holiday free from distractions and reminders of work stress. “You go away for a long time and return a different person – you never come all the way back,” writes Paul Theroux. It may seem counter-intuitive but when you travel alone it’s often easier to make friends. Locals and fellow travellers are more open to speaking to a solo traveller, and you’ll be surprised by how easy it is to start a conversation with someone. 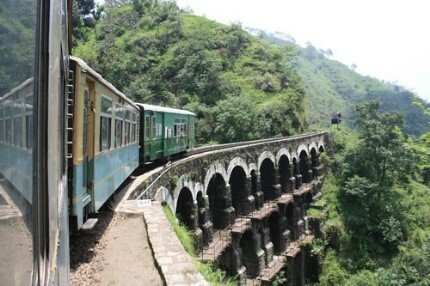 Railway travel is a wonderful way to experience a country through its landscapes and through encounters with people on the train. You also have lots of time to stare dreamily out of the window, read and reflect on your travels. This may sound counter-intuitive, however, if you’re not ready to go it alone completely and just wish to dip a toe into solo travel, why not consider an organised tour? You’ll meet like-minded fellow travellers but also have time to yourself. Deciding on the right time to move to a retirement facility can be a difficult and emotional choice. There are ways to make it easier, and finding out all you can about the accommodation that you are considering can be both empowering and stress-relieving. Here are some common questions that will help you to match your own lifestyle needs to the best facility. Are you buying a unit outright or is this a life-rights/tenancy purchase? What rental options are there? Who is responsible for resale? What deposit is required? What upfront, non-refundable administration fee to secure the unit? If life rights, what is the sliding scale? For example, if you have been there between one and two years, you get 90% back, and if you have been there between three and five years, you get 70% back, and so on. If life rights, do you get a percentage of the original price you paid or current market value? Can I leave my unit to my children? How does costing work when you move from independent living to assisted or frail care? What is the levy and what does it include? What is the levy for assisted living and frail care and what does that include? Are laundry costs included, if you need to use the service? What are the costs of meals at the restaurant, if there is one? Any additional costs to take into account? How often do costs escalate? Does the facility have a respectable website with clear contact details? Does the facility run visitors’ days for prospective residents or do you need to make an individual appointment? How do you get onto the waiting list and is there a cost involved? How long is the waiting list and how does the process work? Are there any conditions regarding applying – medical examination, age limit or health limit? Does the list apply any preferential criteria, for example, on the basis of religion, and, if so, what is required by the facility to qualify for the preference? What is availability? Of couples, single occupation, assisted living, frail care? Are pets allowed? What are the conditions? Can you cultivate your own garden? How many garages are there allocated per unit and how close is it to the unit? Is there an additional cost? Is there a ‘clubhouse’ or entertainment area? Can you rent this and how much is it? Is there a restaurant, a lifestyle centre, a hairdresser or spa, a chapel, a library? What activities are offered? Church services, charity or hobby clubs? Exercise classes? What is the care available onsite, for example, can I have a nurse visit daily? What happens when one half of a couple needs frail care while the other is still living in the cottage? Is there an Alzheimer’s facility? Are there regular visits by a doctor, a podiatrist, and so on? Am I able to make alterations to my unit? Is there transport to and from shopping centres, hospitals, etc.? Is there an option to stay here temporarily, for example, during convalescence? Can I host a visitor to stay over? Is there such accommodation available in the village? I have a down syndrome/disabled child. Can he/she live in this unit until his/her passing, if we make financial provision for that? When is the right time or age to commit to moving? Why sell the family home and downsize when we’re still fit and mobile? How will we cope with having to let go of many personal possessions, with their precious memories? Can we afford to move? 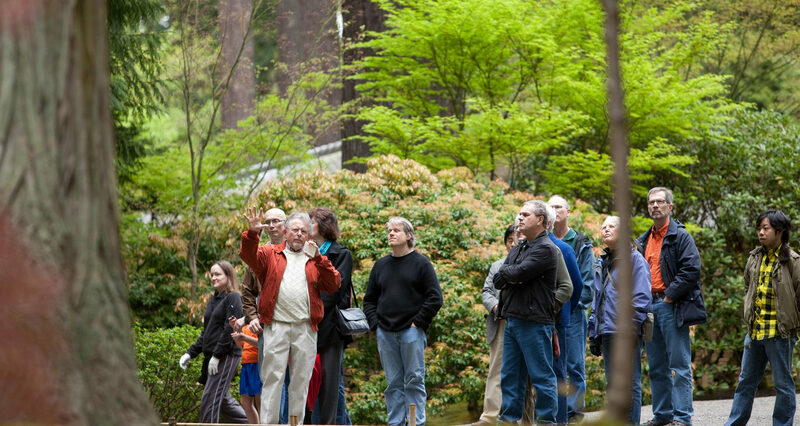 Why even consider moving into a community of “golden oldies”? When we give up our independence, surely we’ll start ageing overnight? Won’t we be bored, boring and end up just being grumpy? What will I do, if I find myself on my own? Why not just carry on here in our home, until we’re forced to make a final move? How many times do we want to move or do we want to make this a once-only move? If I decide to declutter, what do I do with all my stuff? 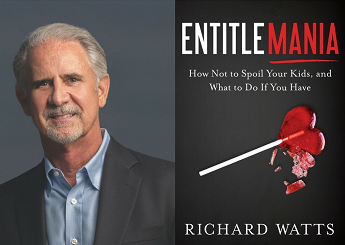 Author of ‘Entitlemania’ Richard Watts suggests that leaving too generous an inheritance to your children potentially has a divisive and damaging effect on your family. In this article, he argues for what some clients have told me is their philosophy for spending money in retirement: SKI, or even, SKIN … Spend Kids’ Inheritance, or Spend Kids’ Inheritance Now! As always with our content, we offer it for your interest, not as advice. But you say, “No! Not my family!” To the contrary. In my 35 years of managing wealthy families every day, the incident of permanent damage occurring to a family is most of the time. And sell it all! Even the family business! Hard to say that out loud, isn’t it? But you must separate your kids from being involved with your estate upon your death. The best solution is to have an independent party liquidate everything except the personal property, then divide the proceeds by the number of your kids and give them each a check. Your family will soon realize your actions kept them together. A suggestion is to leave half your estate to your kids and the other half to charities, allowing your kids to designate to which ones they choose to give the money. Doing this will leave a valuable life lesson to your kids that will be remembered. As to the question of how to divide your personal property and memorabilia, my friend Mel had the best answer. His father had passed away and when his mother was dying, she asked Mel and his siblings each to choose a different colour of sticky paper dots. They were then asked in succession to put their coloured sticker on something in the house they’d like to have after their mother passed — furniture, antiques, jewelry, silver and family heirlooms. Each time it was Mel’s turn, he waved his brothers and sisters on, skipped his turn and continued the conversation with his mother. When all the items in the house were tagged with dots, the kids circled around their mother. Mel’s mom asked: “Mel, don’t you want anything?” He carefully peeled off one yellow sticker from his unused sheet of dots and gently placed it on his mother’s forehead. Ever found yourself tongue-tied when you are trying to comfort someone who is grieving. Christy Heitger-Ewing, author and freelance writer, has written a worthwhile article on best things to say to those who are grieving. In this follow-up article, she warns us against the well-meaning things we say that actually have the opposite effect to the comfort we hope to achieve. After my mom died, people told me that she would hate to see me carrying around such pain and that, to honor her memory, I should stop being sad. Sure, Mom liked to see me happy, but for a period of time after she died, I simply couldn’t be happy. When you love deeply, you grieve deeply. Grievers need to be sad in order to get to the other side of grief. While this message is optimistic and all, it’s not really what a grieving person wants to hear when his world has just been shattered. Even if a griever appreciates the good things in his life, that doesn’t change the fact that he’s reeling from a monumental loss. But here’s the problem: if my mom is there, she can’t be here. And I want her here. Call me selfish, but I want her here beside me, holding my hand, offering advice, giggling, singing and doing that humming thing that only she could do. You know how a week zips by for you whereas a week, from a toddler’s perspective, feels like an eternity? That’s kind of how grief time works. It’s skewed. A grieving person can look at a calendar and see that “X” amount of time has passed since their loved one died, but time is irrelevant when it comes to healing a broken heart. You can’t put a timetable on grief. It is ridiculous to suggest that anyone should hurry up and “get over” losing someone close. I think this statement is true, in time. But the last thing a newly grieving person wants to hear is to cherish the memories. When their heart is hurting, their mind spinning and faith broken, thinking about old memories guts them because they want to create new memories, which they can no longer do. No one expects a patient to hop off of the operating table after undergoing heart surgery so that she can fix her kids dinner. So please don’t make a grieving parent feel even worse by suggesting that she’s neglecting her children due to her grief. That’s just cruel. Grief affects every aspect of someone’s physical and emotional health. It interferes with one’s ability to sleep, eat, concentrate, and function. No one has the right to ask another person to swallow her pain to focus on others. Doing so only prolongs grief. Kristi Smith, author of Dream: A Guide to Grieving Gracefully, says that transformation comes from first taking care of oneself. “Choose to help yourself, so that you can then turn around and help others,” says Smith. It’s kind of like the oxygen mask rule in airplanes: ensure your own breath before assisting those around you. Though it seems like you’re doing the griever a favor by keeping conversations superficial, what grievers need is someone willing to let them be real, someone not afraid to talk about the tough stuff, the sad stuff, the human stuff. They need someone who will sit and listen and maybe even cry with them. This isn’t saying you must never discuss sports or the weather. Just keep in mind that real healing comes from some of the heavier conversations. I would encourage you to do just that. Stop and think about how you would feel if you were faced with the griever’s circumstances. Consider their feelings. Contemplate their pain. Imagine their struggle. Doing so will spark empathy in you, the best thing you can offer someone who is hurting because when you empathise, the right words come more freely. Read Christy Heitger-Ewing’s award-winning book Cabin Glory: Amusing Tales of Time Spent at the Family Retreat. Visit her author website at Christyheitger-ewing.com/. I have found myself avoiding contacting grieving friends as I have been insecure about hurting them by what I say, or just unsure what to say at all. . I found this article by Christy Heitger-Ewing, freelance writer at the Huffington Post, a really useful guide to helping a friend while they are grieving. When someone close to you dies, you initially receive a good deal of advice and support. Some of it is helpful, some not. This piece by Christy Heitger-Ewing, writer for Huffington Post, offers suggestions for helpful things you can say to someone who is newly grieving. In the book Grieving the Loss of Someone You Love: Daily Meditations to Help You Through the Grieving Process, authors Raymond R. Mitsch and Lynn Brookside maintain that the words “I feel your pain” are the four most helpful words uttered to a grieving person. I get that not everyone is touchy-feeling, but when I was newly grieving, I felt starved for hugs. I wanted to hug the UPS man who came to my door, my spin instructor after class. I wanted to hug my neighbor and her little dog, too. It was almost as if I was a china doll broken into pieces, and every hug offered a smidge of glue to help piece me back together. Two weeks after my mom died, my son had an overnight zoo trip, with my husband a chaperone. I packed them up and waved goodbye. As they pulled out, an intense sense of loneliness settled into my soul. I remember going through my phone contacts, calling neighbors until one answered. “Can you come over and give me a hug?” I asked. Grief makes a lot of people uncomfortable. It’s hard to see someone you care about torn up emotionally. It’s natural to want to fix them, but that’s just not possible. The most helpful thing you can do is to offer to be there for someone hurting in whatever capacity they need. This is just an example. Offering to do something specific is an alternative to the usual phrase: “Let me know if you need anything.” People make this kind of open-ended gesture because they want to help and are not sure what the griever needs. But for those newly grieving, they often don’t know what they need, either — or they don’t have the energy to figure it out and then call you to request it. It’s natural to worry that bringing up the subject of the person who died, will make the griever sad. Actually, the opposite is true. When a person loses someone close to them, they continue to think about their loved one constantly. After several months have passed, the griever is astounded at how rarely people mention the person who died. It’s heartbreaking, really. So when you bring up a memory or share a story about the person who passed away, it lets the griever know others remember their loved one, too, and that’s really comforting. Ask, ‘How are you doing?’ Then really listen for the true answer. Making it clear that you’re asking for a real and honest answer and not just expecting the trite response of, “Oh, I’m fine,” promotes healing. Keckler says that “fine” can be an acronym for “Freaked out, Insecure, Neurotic, Emotional” – certainly an apt description for those who are newly grieving because their feelings truly are all over the map. Sorting through them can be difficult, so it’s nice to have people in their life with whom they can share their genuine feelings. A few months into my grief, I had figured out who my “safe” people were. Through conversations and interactions, I could tell which of my friends were okay with my being my authentic self and which were not. The “safe” ones checked in with me regularly. They sat with me and let me cry. They didn’t mind when I called them sobbing so hard that they could barely discern a word I was saying. They let me share openly, and that’s what I needed. tissue. Make a pot of coffee. Ask if they’d like to go for a walk. Let them lead the conversation. Often the biggest gift you can give a grieving person is permission to speak freely. Read Christy Heitger-Ewing’s award-winning book Cabin Glory: Amusing Tales of Time Spent at the Family Retreat. Visit her author website. In his book, Man’s Search for Meaning, Viktor Frankl, explains how suffering enabled him and his fellow prisoners to understand what they valued most in life, and therefore were able to cultivate an attitude of thankfulness for those things that we so often take for granted. Imprisoned by the Nazis in 1944 for his Jewish origins, this Austrian psychiatrist described his three years in the concentration camps following his release. Frankl’s philosophy regarding suffering, outlined in his book, challenges the notion that we must do our best to avoid suffering, and, if we can’t, to get away or through it as quickly as possible. Equally, we cannot be grateful for or when suffering – it is a condition to be escaped or ‘fixed’. Frankl acknowledges the value of suffering through his belief that cultivating gratitude in the midst of tragedy can lend meaning to that very suffering. The conditions of extreme cruelty and deprivation laid the foundation for creating understanding for what was really important in life – and therefore to be grateful for those things – often miniscule – we readily take for granted. Frankl also reframed his suffering in positive terms through kindness to others. He records how some prisoners, though starving to death, chose to give their last pieces of cherished bread to others. These selfless prisoners were the ones able to add deeper significance to an apparently hopeless and purposeless circumstance. Not all prisoners were able to do this. Later, as a psychotherapist, Frankl taught his patients that quality of life depends, not on everything working out for us, or of escaping into a place of numbness and passivity, but in the determination to find purpose and meaning in and through difficult situations. Acceptance of, not resistance to, life’s challenges is the way to gratitude and growth.